As each of the e-publications claim to have the information from “reliable” sources, we decided to sum up all the latest rumors and present you the recent summary about iPhone5 news. According to one of the latest rumors, Apple is expected to hold a press event to unveil its next-generation smartphone in the next few weeks, The New York Times is reporting. This isn’t news — Sprint pretty much gave the date away, canceling store employee vacation for the first two weeks of October. 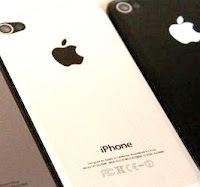 However, the other sources say that two Apple phones will be débuting in the near future. This fits with the rumor that Apple is set to launch a cheaper iCloud-based iPhone that will include prepaid plans and look similar to the iPhone 4. The second phone, which is so much awaited iPhone 5, is deceptively “a sight to behold” because it is “impossibly light, yet much firmer than Samsung Galaxy phones.” It’s even said that the new iPhone will feature much wider screen and a curved aluminum back, much like the iPad 2. So the conclusion, as in most cases linked to Apple and its secrecy, is still up to you to make.